Rather than listening to his young constituents, President Obama disregards their highest priority—ending the failed pot prohibition policy of the United States—and condescendingly substitutes his own narrow-minded vision for the future. “I understand, because sometimes, on White House petitions, we get the same,” said Obama. Perhaps the young people of America DO have their priorities straight. The War on Drugs has failed and wrought collateral damage on human rights. Moms, dads, brothers, and sisters all around the country are incarcerated due to the prohibition of the cannabis hemp plant. Our youth witness how entering the criminal justice system for a marijuana offense has a debilitating effect on a person’s job and career prospects. Students are also at risk of losing student loan eligibility if they get caught with marijuana. The youth of today recognize the hypocrisy of calling the United States the “land of the free” while boasting highest incarceration rate of any country in the world. 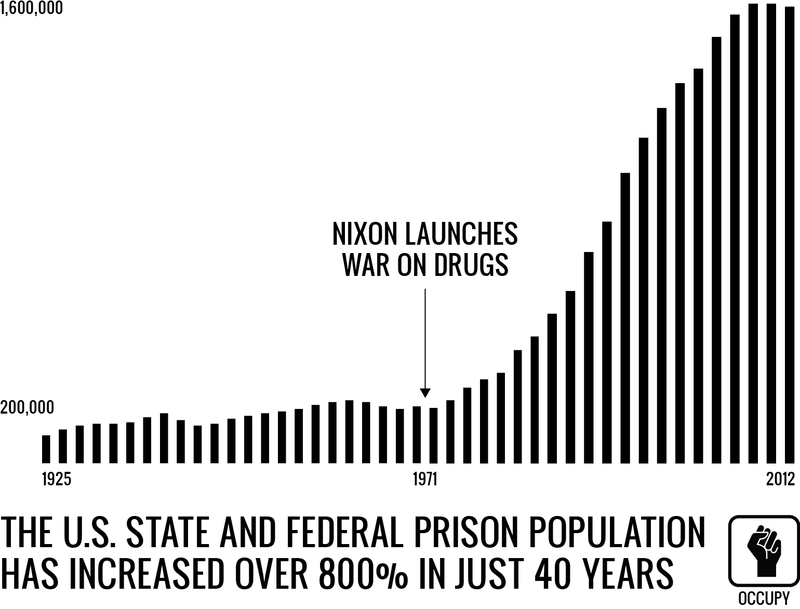 By privatizing prisons since the 1980’s, America allowed the for-profit prison industry to flourish, leading to state sanctioned mass incarceration (prisoner lockup quotas are actually written right into contracts with prison companies). When it comes to America’s wrong-headed war on weed, as Jack Herer observed, the emperor wears no clothes! The youth of America know that cannabis is a medicinal plant that never should have been classified as a Schedule I drug having “no accepted medical use.” An entire generation of Americans has now seen online patient testimonials of cannabis curing cancer. Cannabis is used medicinally to alleviate neurological disorders, pain, muscle spasticity, and digestive symptoms including nausea and vomiting, among numerous other benefits to overall health and well-being. Aware Americans are awaiting the moment when cannabis hemp is legalized so the beneficial properties of the plant can be studied even further. Medical marijuana legislation has passed in 23 of 50 states—how many more are needed to indicate the will of the people towards ending the country’s failed pot prohibition policy? Are we to believe that the same Congress that is currently willing to destroy our county over partisan battles will ever unite to lead us to a common-sense drug policy? Populist, democratic principles were on display when VICE magazine asked the public at large to submit questions for their upcoming interview with the commander-in-chief. President Obama, however, patronizingly issued a papal decree of ordered priorities in response. A young scholar could write a term paper placing each of the president’s prescribed priorities in the context of pot prohibition. First, President Obama listed climate change, which is caused by our addiction to petrochemicals, growing exponentially in the last century while industrial use of hemp has been banned. Cannabis hemp is a renewable resource excellent as a fiber, fuel, paper, plastic, and more. Hemp has been a staple of economies around the world for thousands of years; ending its prohibition would allow us to live more in harmony with nature. The second item in President Obama’s priority list was “economy and jobs.” Our economy is adversely affected by the multi-billion dollar yearly cost of incarcerating millions of nonviolent marijuana offenders. By creating local economies based on private prisons, we are incentivizing the enslavement of our African-American, Latino, and economically disadvantaged populations. America has more people of color in prison than in college. It is time to end the prison-industrial complex and stop enriching private prison companies at taxpayer expense. The next tier of the president’s agenda for youth priorities is the rather open-ended term “war and peace.” The War on Drugs has failed (drugs won) and the federal government should make peace with the people. Also, America should stop dictating the drug policy of other nations around the world, and while we’re discussing it, perhaps start fewer wars overall. President Obama’s idea that “maybe way at the bottom you should be thinking about marijuana” is awfully convenient for a man who never would have been president had he been caught up in the criminal justice system for smoking with the “Choom Gang” in his own youth. Fortunately, today’s youth are much more enlightened. Watch the VICE interview with President Obama. The marijuana legalization question starts around 14:20.